Our client, Kayla, was just 15 years old when she was tragically injured in a boating accident in July 2006. Kayla was out on a lake with friends and family and was being pulled on an inner tube behind a boat operated by a 13-year-old boy and his grandmother when the accident occurred. 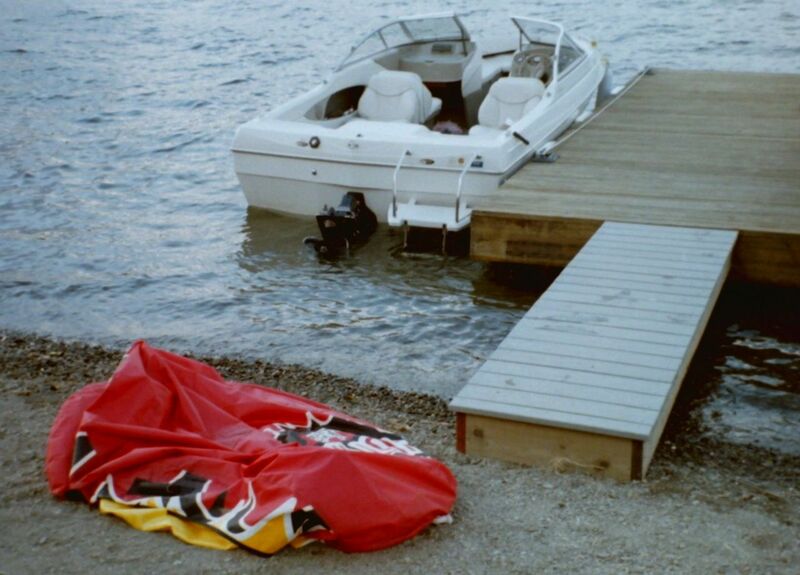 According to police investigation, the young boy driving the boat attempted a popular maneuver in water sports that would cause the inner tube to ride up over the waves left behind the boat. Unfortunately, the boy made the turn too sharply and inadvertently struck Kayla while she was on the inner tube. The initial impact knocked Kayla unconscious and the boat’s propeller left her with at least four large, deep lacerations to her right leg. The cuts were so deep that Kayla began experiencing tingling and a loss of sensation in her right foot, and she was transported to Harborview Medical Center in Seattle to be treated for possible nerve damage. She eventually underwent emergency surgery on the leg and although she was able to avoid any disabling injuries, Kayla was left with permanent scarring up and down her right leg. Kayla and her family hired attorney Chris Davis to pursue a personal injury claim against the insurance policy belonging to the young boy’s grandmother. Attorneys representing the insurance company initially denied the claim, forcing Mr. Davis to formally file a lawsuit in court. A few months before trial was scheduled to begin, the insurance company realized that settling Kayla’s case would be in the company’s own best interests. There were two separate $300,000 liability insurance policies involved in the claim. Mr. Davis successfully negotiated a $600,000 settlement – the combined total of the insurance policy limits available – on behalf of Kayla and her family. Attorney Chris Davis recovered a $600,000 settlement for a young girl who was struck by the propeller of a boat. There were two $300,000 insurance policies available. The girl also suffered permanent scarring as a result of the injuries.